The Olympic medals symbolize years of dedication, perseverance and skill, and while they aren’t exactly worth their weight in gold, they’re priceless to the few who earn them. So it can be an exercise in anxiety for athletes to make sure their medals remain safe. It doesn’t happen often, but athletes’ medals do get lost or stolen — and to help lessen the pain, Olympians are about to receive a special provision. For the 2014 and 2016 Games, insurer Liberty Mutual is partnering with the U.S. Olympic Committee to cover medals in case they get lost, stolen or damaged, at no cost to athletes. It’s a provision Olympian Rusty Smith wishes he could have enjoyed. The short-track speed skater had stored the bronze medals he won in 2002 and 2006 in a fire safe in his mother’s closet while his home was being remodeled in 2012. Burglars took the entire safe containing the medals, and to this day, there have been no leads on where they ended up, Smith told TODAY.com. The homeowners insurance Smith’s mom had covered the cost of getting replicas made, but the process of actually getting the replicas was long and arduous, Smith said. 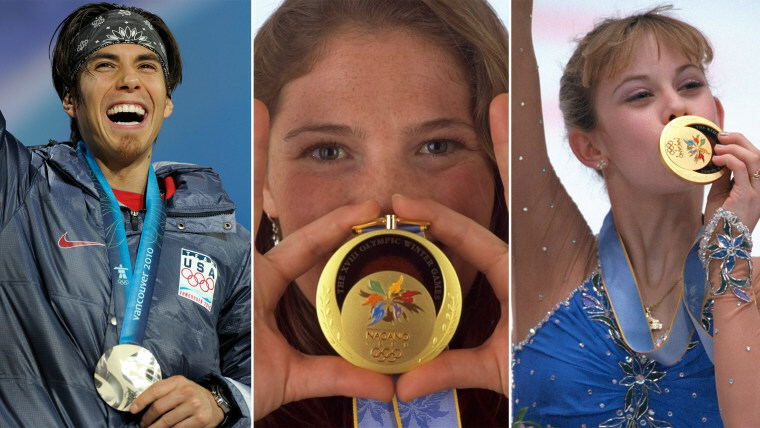 Other Olympians have experienced the heartbreak of losing their medals. Tristan Gale, who won gold in the women’s skeleton winter sliding event in 2002, had her medal, Olympic ring, engagement ring and more stolen when her California home was burglarized in 2011. Swimmer Josh Davis had four of his medals stolen out of his car in 2009. Under the new partnership between the USOC and Liberty Mutual, the insurance company will cover each medal for $5,000, factoring in the labor to make the replicas and shipping costs. Athletes also will get help navigating the replica-ordering process. For some Olympians, donating their medals for display relieves them of worry. Both Kristi Yamaguchi and Tara Lipinski have their medals displayed at the World Figure Skating Museum and Hall of Fame in Colorado Springs. Lipinski, who has her 1998 gold medal insured for $1 million, echoed Yamaguchi’s sentiments. Speed skater Apolo Ohno told TODAY.com he used to keep his eight medals in his sock drawer, with each one wrapped in the bandana that he wore when he won it. But due to a scare after the Vancouver Games, when his father went to retrieve the medals for a photo shoot and couldn’t find four of them, Ohno said his dad now keeps them at his home in Washington state (where they are all safe and sound). For Olympic medal winners, it’s hard to put a value on that piece of metal — even when they’ve won multiple times. Picabo Street, who keeps her medal tucked away, was equally emotional about it.